When Alice steps through the looking-glass, she enters a world of chess pieces and nursery rhyme characters who behave very strangely. Humpty Dumpty, Tweedledee and Tweedledum, the dotty White Knight and the sharp-tempered Red Queen - none of them are what they seem. In fact, through the looking-glass, everything is distorted. I'm sure a huge number of us, as children, have wondered what's on the other side of the mirror. Is it a world where everything is opposite, or is it something else entirely? Does the entire world mirror our own, or does the area just outside of our view hold something completely different? Carroll once again taps into the inner curiosities of our younger friends, and delivers another illogical, yet captivating, tale of Alice's adventures. 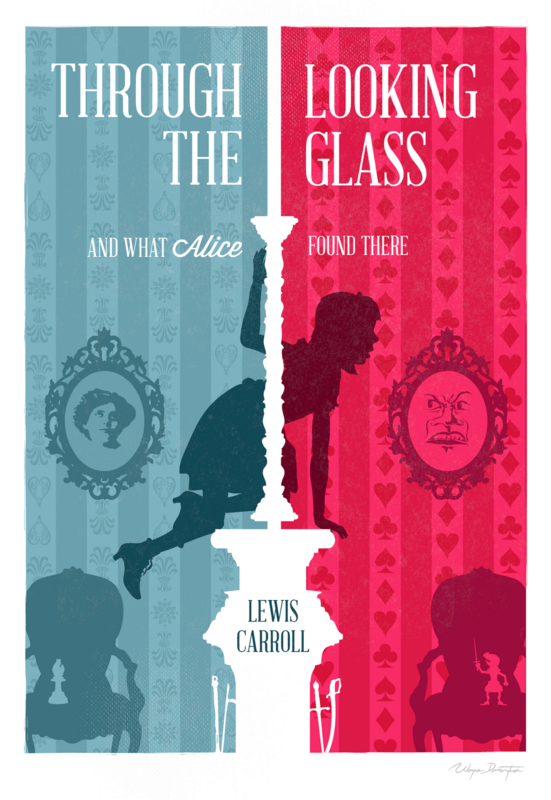 The world through the looking glass is infinitely more complex than Wonderland. Alice is given a clear route to follow here, which reads like more of a quest than her wanderings through Wonderland ever could. Although the characters she met in Wonderland could never be described as friendly, most of those through the looking glass have something not quite right about them; whether disdain, an agenda, or something else ticking under the surface, I couldn't quite make my mind up. Carroll's word play here is twice as fascinating as it was in Alice, and our girl's frustration at being mocked for the words she uses is absolutely delightful. Most of the characters Alice meets here regale her with some form of poetry or song, all peppered with nonsense. My favourite of these is The Walrus and the Carpenter, a macabre sort of poem which sends Alice into a flurry of confusion as to which of the two is the biggest villain, and to whom she should apportion the most blame, as though that's of any importance. The poem itself can be broken down into all sorts of interpretations, mainly religious, however I love it for exactly what it is: an act of evil coaxing in order to satisfy a hunger. Ponder that. "And when I found the door was shut, I tried to turn the handle, but-"
'Is that all?' Alice timidly asked.